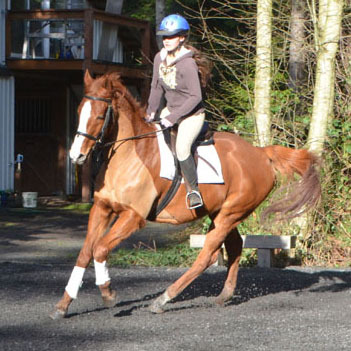 Our lesson program is primarily focused on dressage and jumping, but other disciplines are welcome. We teach all ages, focusing on correct balance and horsemanship, as well as building confidence and communication skills with your horse. Whether your goal is to go to shows or to just ride for fun, we believe that developing a solid foundation for you and your horse is the key to enjoying your riding experience for years to come. Lessons are 1 hr, limited to 1-2 people. School horses available. 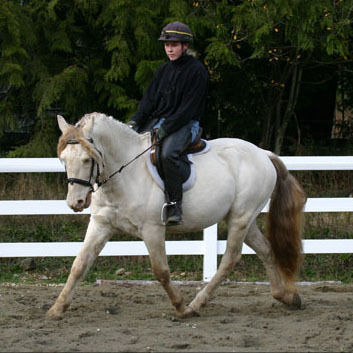 We work with horses of all ages and breeds, specializing in starting young horses under saddle. Leases are available on some of our horses. 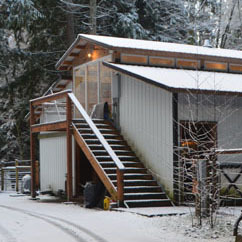 Due to limited space, boarding at BTF or our indoor facility is currently only available for horses that either come in for training or that belong to our students.